This program provides students with the knowledge and technical skills required to succeed in all areas of business. It is a flexible course that builds foundation business skills and allows students to explore their options before settling on a specialised path of study. Career outcomes vary according to the choice of major and include employment in areas such as: accounting; business analysis; economic forecasting; financial planning and wealth management; investment banking and financial services; human resource management; logistics management; marketing research; policy advice; product and brand marketing; public relations; sales or account management; stockbroking and valuation. You can apply to the Bachelor of Commerce on its own, or in a Graduate Degree Package (GDP) with the Melbourne Juris Doctor or the Master of Engineering. You can apply for a GDP direct from completing an Australian Year 12 or the International Baccalaureate (IB) as a domestic or international student in Australia or as a domestic student outside Australia. 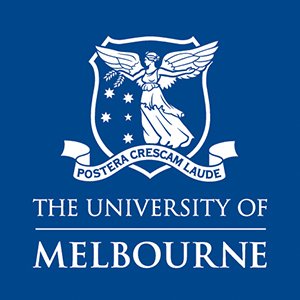 See study.unimelb.edu.au for details. Year 12 or equivalent; Units 3 and 4: a study score of at least 25 in English/English Language/Literature or at least 30 in EAL, and a study score of at least 25 in one of Mathematical Methods or Specialist Mathematics. Specialist Mathematics is highly recommended for Actuarial Studies major; Applicants eligible for the non-school leaver entry pathway must complete the STAT or SAT. The Bachelor of Commerce consists of 300 points (24 subjects) and is made up of two components: the core program and breadth. The core program comprises commerce-focused subjects, including five compulsory subjects, commerce electives and subjects that contribute to the major/s of choice. Options in the degree include completing a double major and/or a breadth sequence in engineering, property or construction management. Accounting; Actuarial studies; Business; Economics; Finance; Management; Marketing. The Bachelor of Commerce is a foundation for entry to an extensive range of graduate business and economics courses, as well as other professional areas such as law, engineering, teaching, information systems, urban planning, humanities and more. Students can choose to specialise further in their commerce major/s, explore another business discipline, or use their knowledge to complement studies in another area of interest. Honours program is available. The Diploma in General Studies may give you guaranteed entry into the Bachelor of Commerce depending on your academic performance. The Chancellor's Scholars guarantees very high-achieving students a Commonwealth Supported Place or International Fee Place in the graduate program* of their choice, plus a range of other benefits complementing the Bachelor of Commerce. Entry is guaranteed into degrees such as Melbourne's Juris Doctor (Law) and the Master of International Relations. No minimum Grade Point Average is required in your undergraduate degree. Students receive a Melbourne Chancellor's Scholarship. You must have completed an Australian Year 12 or the International Baccalaureate in Australia in 2019, satisfied prerequisites and any extra requirements, and achieved an ATAR (or notional ATAR) of 99.90 or above. Indigenous applicants must achieve an ATAR (or notional ATAR) of 90.00 or above. *This guarantee is subject to meeting any selection requirements as specified for the graduate program. Certified Practising Accountants (CPA) Australia; Chartered Accountants Australia and New Zealand; Institute of Public Accountants; Chartered Financial Analyst Institute (CFA); Actuaries Institute.